This is a detail of one of Tony's gampi papers that he applied to his sculptural moulds while still wet to create 3D translucent pieces. On the left is Tony's mould with gampi fiber over it. On the right is the mould without the fiber. 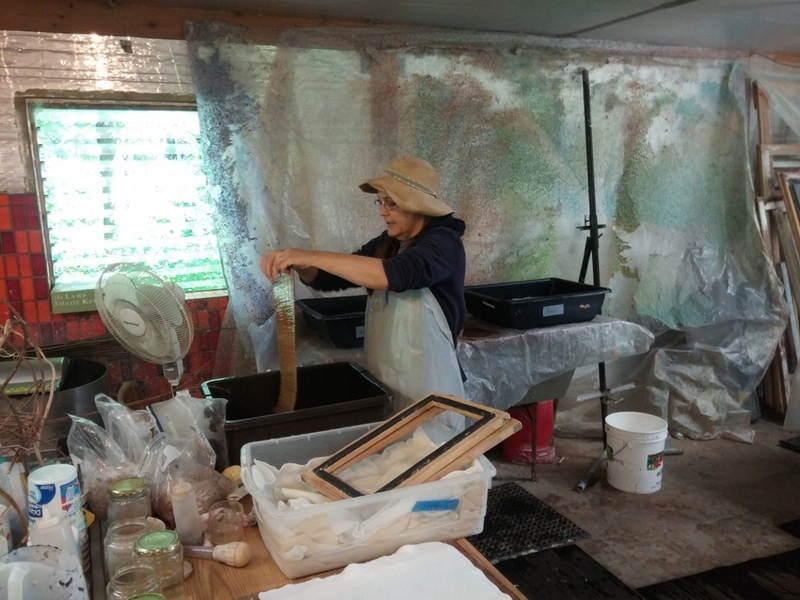 Katherine is making a sheet of Eastern style Kozo paper. A freshly couched sheet of Gampi. 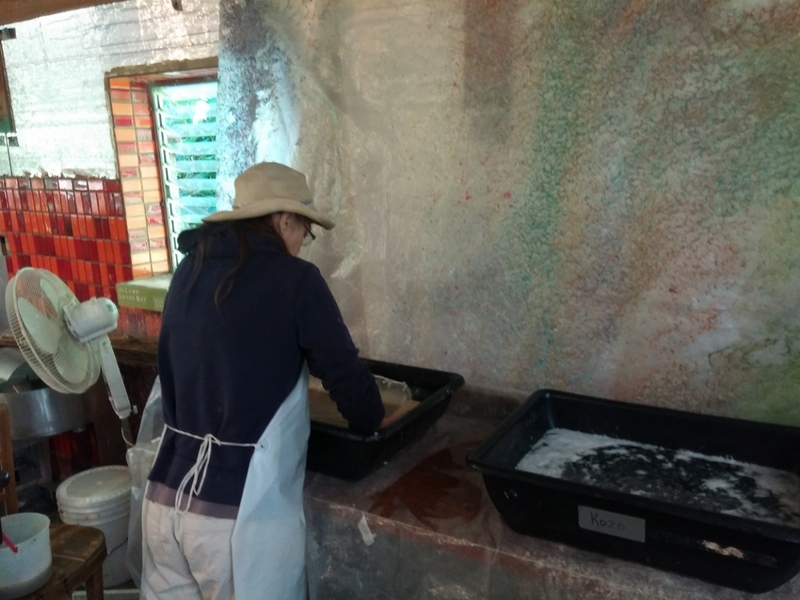 I am in the process of couching a sheet of Kozo. 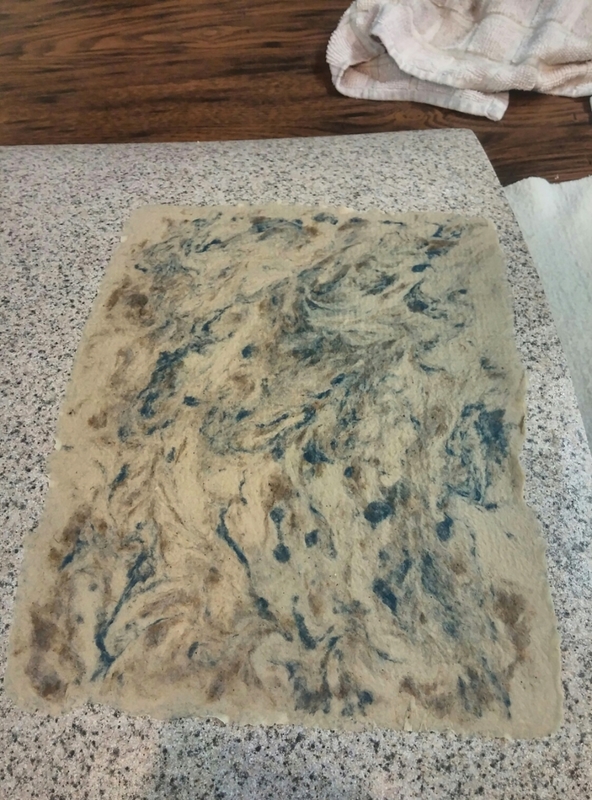 A sheet of flax marbled with other color pulps set out to dry on counter top material. My Reina beater. I have had this piece of equipment since 1995 and love it!